If you’re thinking of pursuing an engineering degree and profession in Australia, we highly recommend that you choose electronics and communication engineering. While engineering is a stable industry in the country, in general, this specialty is considered as one of the hottest. It has a very positive career outlook within the next few years, it provides a stable and high source of income and it allows you to work in different fields. Being the owner of a Labour Hire recruitment agency that specialises in Electrical Contracting and Electrical Engineering, I not only know what careers are out there, but also like to help kick-start careers. A huge part of landing a good career opportunity in the field of electronics and communication engineering is a better understanding the jobs you can land from studying this discipline. First let me state that by studying of electronics and communication engineering you can become either an Electrical Engineer or an Electronics Engineer. Electrical engineering is considered to be a somewhat of a new branch as it began sometime in the nineteenth century (the word engineering first appeared around the 1300s). But only became widely known as it grew when electrical systems such as batteries came about. Under electrical engineering is electronics engineering, perhaps because both deal with electricity and electrical systems. The major difference between the two, electrical and electronics, is that electrical is about harnessing the power. Electronics mainly deals with the circuitry itself. A great example is a mobile phone. An electronics engineer is responsible for designing the circuit board, etc., but this device also needs electricity such as when you have to charge it. In this area, the task is handled by an electrical engineer. Plan and design electric control systems and circuits: Today you’ll find many industries and businesses that require electronics including but not limited to communication, mining, gas, retail, etc. Can you imagine a business, for example, that doesn’t have any type of interface? Probably not. We can safely say that electronics has made the jobs of many more efficient, quicker and more effective. In line with these, one of your main tasks is to plan the circuitry and other control systems, then execute it starting with the design of such plan. Supervise a team: Businesses and even the public sector require the services of the electronics and communication engineers at any given time. You are also to work closely with other professionals such as the architects and electrical engineers and may have to supervise a team. Procure the right equipment: As an electronics and communication engineer who spent many years getting advanced knowledge, you’re the best person to identify the electronic systems and equipment that will be needed to complete a project. For this reason, you may be asked to submit costing. Design and modify electronics systems: Using your knowledge and experience, you may also have to design and modify electrical systems whenever needed. One of the advantages of being an electronics engineer today is that you already have reliable applications such as CAD to help you. Ensure the project is according to safety standards: It is your job to guarantee that everything about your project follows the strict guidelines of the industry and the country. You can do this by, first, creating a safety management plan that adheres to such standards. Then you have to make sure that the rest of your team understands the importance of following strict codes all throughout the many phases of the project. Execute the contract: Aside from the safety standards, you should also keep in mind the terms and conditions of the contract and see to it that what has been agreed is being followed. Otherwise, any modification should be brought to the client so prompt changes to the contract and its terms may be made. Develop testing methods: As an electronics and communication engineer, you don’t only design or modify circuit systems; it’s also your responsibility to design methods to test their effectiveness. This measurement can be handy in determining ideal service levels and efficiency of communication traffic. Research: Electronics and communication engineering is actually a very exciting field. Every year, there’s a new technology, method or technique, or system that can be applied to a business, industry, or sector (including the government). These may be geared toward efficiency or sustainability, or even open new opportunities for you and your clients. Nevertheless, it’s your duty to find out what they are. There are many ways to do research to find out career opportunities and you don’t have to be stuck to the Internet at all times. You can get updates from colleagues, associations or organizations, news, trade shows and conferences. This type of engineering is extremely flexible as almost all industries require your service. You can also specialise with telecommunications, signal processing, computer and instrumentation. 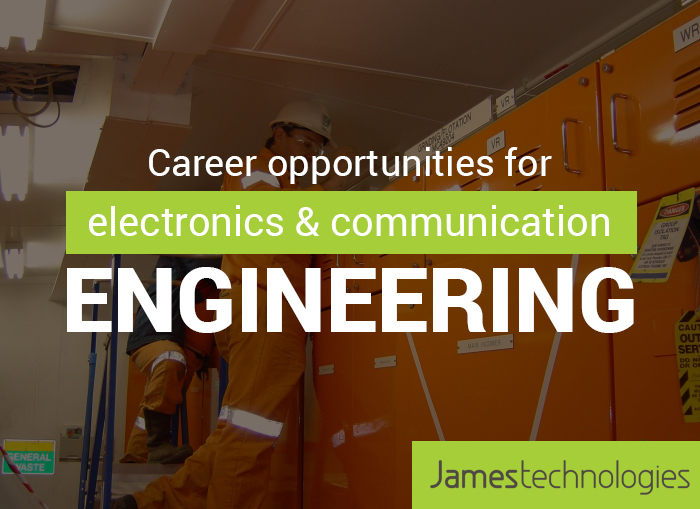 Whatever your plans are, you can contact James Technologies if you are seeking an electronics and communication engineering job or seeking labourers for an electronics and communication engineering project. 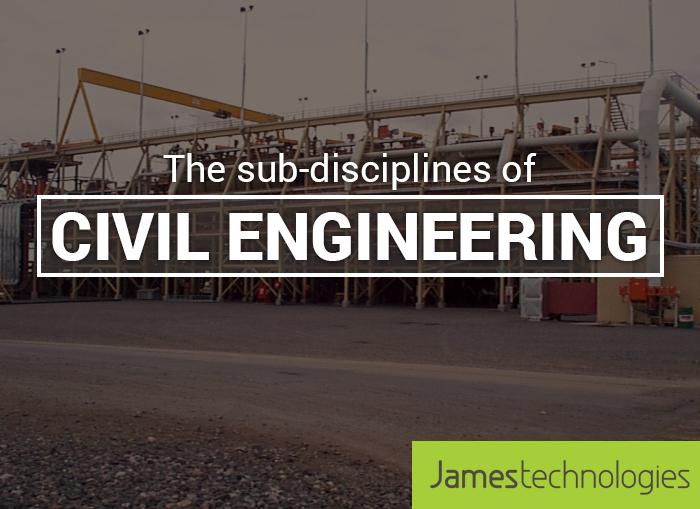 Today we are going to talk about civil engineering especially its sub-disciplines—and there are a lot of them. But don’t worry, this is good news as it means you’ll have plenty of job opportunities and you’ll be able to find an engineering job to match your strengths. Plus, James Technologies is here to help you find qualified civil engineering jobs and projects not only in Australia but also in New Zealand and PNG. So what are these sub-disciplines? Before we get into the nitty-gritty, let’s first talk about civil engineering. Now, what is civil engineering for you? I will give you a few seconds to think about it. For many, civil engineering is about building bridges, tunnels, railways, and other mega structures. While this is true, this is not the entire truth. It is a branch of engineering that deals with the construction, modification, maintenance, operations, removal or planning of any physical structure that is part of an environment. Building a house is a form of engineering. Laying down pipes for plumbing is also another form of civil engineering. In fact, trying to build a raft so you can cross from one side of the river to another is an example of that, no matter how crude. Civil engineering has been around for such a long time that it is considered to be the second oldest form; the first one is military engineering (simply because during the early years of human history, people have been fighting for power and resource acquisition, to name a few reasons). Civil engineering therefore is the first form of non-military engineering. If you read the definition again, you will immediately see that civil engineering is a very broad subject. If we were to learn everything that is related to it, we may never stop going to school! That is why it is now being subdivided into multiple disciplines. This way, you can find one that truly suits your passion and technical skill. Structural: This sub-disciplinary of civil engineering refers to the study of the design of any structure, as well as its analysis in terms of strength and integrity. It is very important that an infrastructure can hold not only its own weight but that of people or cars, among others. It should be able to withstand natural disasters such as earthquakes or hurricanes. Structural engineers deal with force, stress, pressure and loads. This also has its own sub-disciplines such as earthquake engineering. Japan has many earthquake engineers since it is prone to this natural disaster. Transportation engineering: While transport engineers design, build, operate and maintain any type of transport modes such as railways, highways and bridges, these are not their only concerns. Their main focus is actually efficiency: how can they move goods and people the quickest, safest and the least-time-consuming way possible? Urban engineering: I expect that within the next few years, you will hear more of this type of civil engineering sub-disciplinary for two reasons: sustainability and livability. First, urban engineers should learn how to use whatever available and limited resources within an urban space, such as a municipality or a community, more efficiently, making sure that everyone benefits from it. Second, they must learn to develop communities that are livable—that is, promote a good work, play, live environment so these people do not have to move to other places to seek opportunities and better livable environment. In line with these goals, urban engineers help the government and private sector develop transport networks, waste disposal systems, recreation facilities and other public amenities. Environmental engineering: In light with the growing issues of pollution, waste and climate change, environmental engineering has never been this significant. What do they do? They are in charge of preserving, developing and even creating a healthy, ecological environment for everyone through building appropriate waste disposal and management systems including sewage and treatment plants. Surveying: For some, surveying is one sub-disciplinary of civil engineering that can be both a technical, and boring job since usually surveyors look at the changes in the Earth’s surface including slopes, deviation of angles perhaps of land forms such as mountains, etc. But these things matter as the changes can significantly affect any kind of infrastructure. Without surveying, for example, you may end up building a school in an area which has soft soil not suitable for structures. You can just imagine; it would be a disaster waiting to happen. 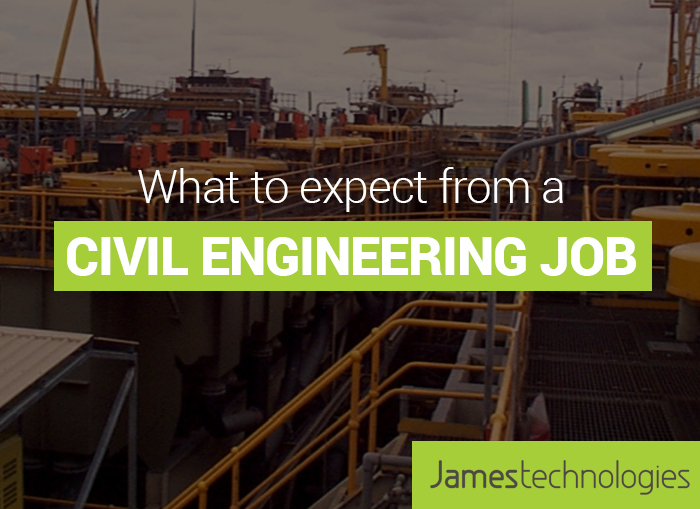 If you’re looking to become a civil engineer, then James Technologies has plenty of job opportunities waiting once you finish your civil engineering degree. For those that already have an engineering degree, experience and expertise in civil engineering, contact us today. We’re always looking for engineers for civil engineering projects. James Technologies offer labour hire for the mining and mineral processing industries, and in doing so, we’re constantly advertising civil engineering jobs for skilled technicians to fulfill the needs of our clients. In this article we’ll look at a genetic role overview asked of civil engineering jobs and also the job prospects you can expect as a civil engineer. It’s very important that we can match the jobs with your skills, experience and expertise. A Degree: because civil engineers need to possess many technical skills in order to do their job right, it’s essential that they a civil engineering degree from an accredited university program. They then need to obtain a certification so they can practice their profession by taking a licensing exam, the requirements of which may vary among territories. Problem-solving Skills: Civil engineering jobs regularly face complex situations. For example, a civil engineers first design may no longer work in light of the discovery of new factors that may already render such design as unsafe or useless. They need to come up with the most ideal solution to the problem promptly since resources such as time are wasted the longer they remain undecided. Coordination: Senior civil engineers, or those who already handle a supervisory position, need to communicate properly the requirements of the project. The needs should be very clear and precise. Otherwise, it’s easy to introduce mistakes and further delay the completion of the project. Civil engineering jobs often call for engineers to work closely among themselves and in other departments as projects are almost always a collaborative effort. Development: Civil engineers are responsible for developing construction systems and apply them to the project. These systems may be very unique depending on the needs or demands of the project, as well as the preferences of the management or the client. However, their designs should always remain in accordance to the standards set by the commonwealth and territory government. Tracking: Civil engineers just don’t execute the plan, but they also need to track its progress. There’s a good reason for this. First, they have to make sure that the project is going as planned. Second, they can evaluate and make the prompt decisions. Even if the design sounds fool-proof, many things can still affect the quality of their work, such as budget, location, and even performance of the subordinates, co-employees, and subcontractors. By tracking, civil engineers can assess and implement changes whenever necessary right away. This also means that civil engineers job call for someone who’s good at creating reports. Most companies follow a format for easy understanding of reports. These professionals, moreover, need to have some good skills in technical writing. Field Inspection: Civil engineers cannot provide, support, recommendations, improvements and right solutions if they don’t see the project first-hand. Most civil engineering jobs require engineers to perform field inspections, and as such, they should be physically and mentally fit to do them. They may be required to travel for hours, visit sites at any time, etc. In Australia, the job growth for civil engineers is average. Within the next four to five years, the number of civil engineering job openings may be around 10,000 to 25,000. However, the good thing is that this is not a short-term demand. As the country embraces innovation and remains competitive in a global scale, they would need civil engineers to do many things for them. In fact, the demand has been very high over the last five years. Moreover, because there are many companies that need this specialised skill, there are civil engineering jobs almost everywhere. The chances of getting a full-time civil engineering job are also very high. Based on the latest data from Australia’s job outlook, majority of civil engineers are employed full time (91.6 %). They usually worked at least an hour longer than other occupations, but they are also some of the highest paid. It’s true that civil engineers play a large role in building bridges, tunnels, roadways, buildings, and other types of infrastructure that you see around you. However, they perform more than that. Technicians need to also have an eye for detail or a vision. They should be committed, technical, specific, rational, smart, flexible, and proactive. Civil engineering jobs also require technicians to be healthy since projects can be very time-consuming and arduous. They have to be able to write proper and timely documentations and reports, as well as communicate plans and suggestions with the rest of the team in a very timely manner. But the job of a civil engineer is rewarding, because from it comes innovation and growth of communities and the country. Visit James Technologies for civil engineering jobs for Civil Engineering Draftspersons and Technicians. For many years, mining has become one of the economic backbones of Australia. However, along with its many rewards are several risks and challenges that have to be eliminated or significantly reduced. These include the safety of the health and well-being of everyone who works in the industry especially miners. 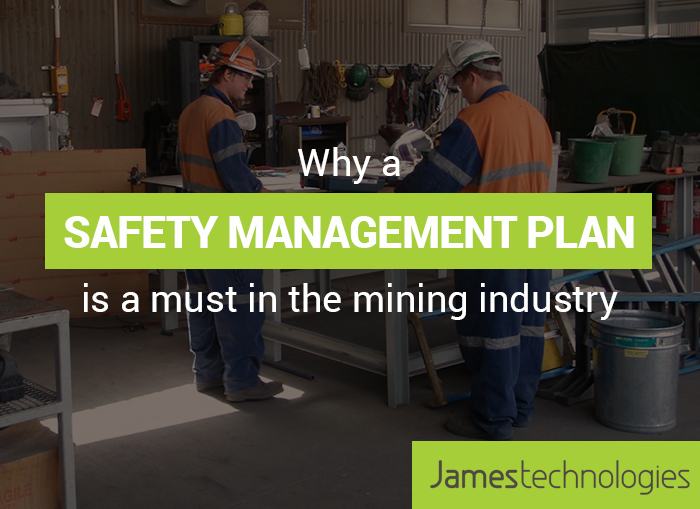 As a registered training organisation, James Technologies adheres to the highest principles of health and safety and are fully aware just how important a safety management plan is in the mining industry. Below I’ll answer some of the most commonly asked questions to outline exactly what a safety management plan is and why it’s a must in the Mining Industry. What is Safety Management Plan? Also known for its abbreviation SMP, safety management plan refers to a document that enumerates the safety-related system or the methodology that will be implemented and be serving as a guide for the mining company. Is everyone involved in the petroleum and gas industry required to create a Safety Management Plan? Based on the law, there are some members of the industry that are not yet required to create an SMP. These are auto installers and gas fitters. Those who are involved in domestic natural gas and serving a small number of consumers can also opt not to have SMP. Nevertheless, knowing how significant this is, especially in drafting safety policies and maintaining a system that is safe and healthy for all, I highly recommend that those who are exempted should, at the very least, explore it. Meanwhile, plants that use more than 500L gas cylinders or consume 100TJ of gas per year need to have SMP as well as those who are just leasing a facility but are running a drilling rig business. When should one create a Safety Management Plan? The operator should have the SMP ready before he or she runs the plant or facility—before everything starts operating. Although some prefer to draft a SMP to cover all the areas from the get go, that doesn’t necessarily have to be the case each time. A number prefer to create the SMP as the facility progresses. For example, before the start of the operations, the operator may create an SMP for commissioning and operating. As the project wanes, the SMP may then proceed to decommissioning. When is the right time to modify the Safety Management Plan? As the mining industry and its operations are dynamic, so should be the SMP. Always remember, Safety Management Plans must always reflect the safety trends and risks in your operations and change in federal and state policies. It’s a standard: I recommend that you perform regular reviews or evaluations of these standards, perhaps annually. Changes in the plant may increase risk: There are times when the operator needs to introduce technologies and processes that are extremely beneficial but also carry a good amount of risk. One of the reasons why these are allowed is that the benefits far outweigh the disadvantages. Nevertheless, the SMP has to be revised to mitigate these risks, particularly reducing them. The Chief Inspector recommends it: The chief inspector has the right to impose to the operator to amend or even make a new SMP if he or she deems it necessary. You are aware of another hazard: The plant or facility may have experienced an event in which the operator is aware or have gained knowledge from after assessing the risks. What kind of information should be present in the Safety Management Plan? These elements, which form part of section 675 of the act, can either be universal or whenever applicable. For more information on SMPs view this PDF from Queensland Government Department of Natural Resources and Mines. A Safety Management Plan is not a regular business document. It can spell the difference between the life and death of every person that works in the facility as well as the sustenance and growth of the business. As a registered training organisation, we know all too well how important good safety management is in not only the mining industry, but other industries as well. If you’re mining project is in need of safety management, then talk to us today about High Voltage Training Courses & Compliance Audits, First Aid & Electrical Safety Training, Custom & Generic Mine Inductions and Training Policies and Procedures. For more information, please visit James Technologies website today. Are you planning to pursue a career that offers stable income, long-term employment and high demand? I have one suggestion for you: Electrical and Electronic Engineering. As the manager of a job recruitment agency, I know the demand for electrical and electronic engineering labourers is constantly high. BUT if you truly want to get into this path, it’s very important that you’re aware what kind of education or training you need to have. Such knowledge allows you to (1) decide whether this is truly the career you should do and (2) prepare yourself from the gruelling training that comes along with it. But first, let’s try to determine the difference between electronic and electrical engineering. Many people tend to confuse both, but I don’t fault them really. These two can sometimes get confusing, and it’s possible that at some point their job descriptions will overlap. It’s also probable that a company can hire both for one project but, of course, with different tasks. So what sets them apart? First, you have to look into what they work with. The main job of the electrical engineer is to design, create, modify or even establish standards that will allow them to harness electricity and to store it especially for future use. Electronics engineers, meanwhile, work with the electronic components of a device, especially how each of these parts communicate or work together and separately to make such device function. How can these two go together? Here are two examples: electronics engineers may develop alarm systems for a company but it’s the electrical engineers are the ones that identify where they should be placed to allow a more efficient use of utility power. Another is your mobile device. Every part of your mobile phone is designed with the help of an electronics engineer. However, electrical engineers also have some influence in it since you need to charge your device. Can someone with an electronics engineering background work as an electrical engineer and vice versa? Yes, but it depends on the training and education they receive. Some programs separate these two, which means the training can be very different for each. Definitely there are subjects that both of these professions share, but we’re talking about specialisation here. There are courses found in electronics engineering that are not found in electrical engineering. Nevertheless, since as I’ve mentioned both can still work hand in hand, it does help if they have a good idea of what the other one does. A complete training and education for electrical and electronic engineering means getting yourself a university degree. Look for schools that offer accredited programs, whether these are offered online or offline. Again, the program should be accredited. Otherwise, everything you’ve learned and the courses you’ve taken won’t count for you. How long does it last? A typical program lasts 4 years. Of course, this depends on many factors, such as whether you’re a full-time student or not. It can take as long as 5 years for some, however, the entire program is designed to be completed in 4 years. Your education is a combination of many things. These include lectures, workshops, laboratory, and hands-on training. Many programs partner with legitimate companies where you can receive real-world hands-on training. This means that you get to apply everything you’ve learned over a couple of years in a real workplace setting. You will work closely with electrical and electronics engineering professionals. The first two years focus introduces you to the world of engineering. You’ll learn the foundations of the profession, such as mathematics, science and physics. Since they are the foundation, your learning ability here will more or less determine whether the following two years will be easy or not. This is also the time to learn some soft skills such as an effective communication skill and ability to work with a team. It’s very rare for electrical and electronics engineering professionals to work by their lonesome. They are normally part of a project, and thus, they have to work closely with other departments or professionals. In the remaining two years, this is where you specialise. You get to choose which type of engineering you really want to pursue. You can also use your knowledge in the first two years to help you in the evaluation. Since you will be specialising, there will be courses that will be offered to electrical engineers only and vice versa, though many schools allow you to electives or optional courses. I suggest that you do that. The more knowledge you have about electrical and electronics engineering, the higher are your chances of getting hired quickly after work. The road to being an electronics or electrical engineer is quite long, but you also have to understand that it’s simply because it’s complex work, and the industry has very rigid standards that professionals should follow. The good news is finding work is normally easy. 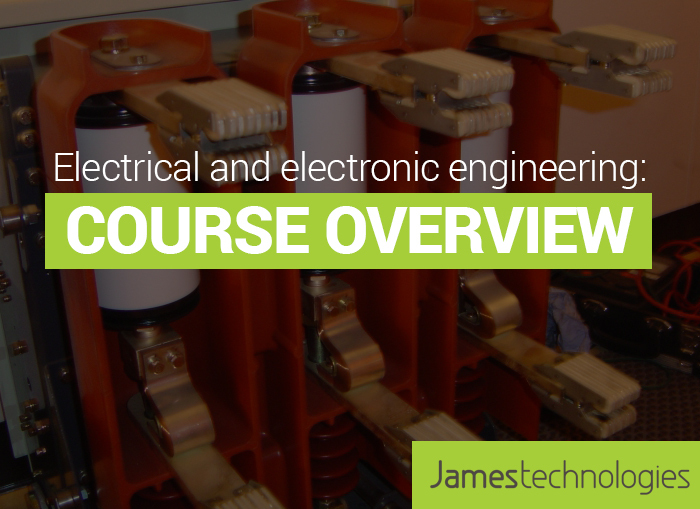 In fact, visit James Technologies for an Electrical and Electronic Engineering job once you’ve completed your course. Are you currently looking for mechanical engineering jobs? You are definitely in the right place! James Technologies are licensed mechanical contractors with a labour hire division, so we’re always looking for qualified mechanical engineers to carry out mechanical engineering jobs. In this article we’ll look at the job prospects for mechanical engineers and provide an overview for the tasks and duties required by many mechanical engineering jobs to give you a better idea of what the field is really like. But first, what is mechanical engineering? It is an engineering discipline that revolves around mechanical systems. Thus, you design, manufacture, acquire and modify, among others, these systems. The goal is to produce something that will be ready for sale and distribution in the market, or you support its production. According to the Job Outlook website of the federal government, the expected demand for mechanical engineering jobs is low especially within the next 5 years. It’s possible that the number of open positions will just be around 5,000, and looking forward to November 2018 it’s expected to decrease, although there was a point when it went up for 10 years. The demand is limited in some areas, especially in smaller cities and the suburbs. If there’s some good news, it’s this: during the time the study was made, there were more than 7,000 mechanical engineers in the country, with over 89% of them employed on a full-time basis. In other words, this is a stable job. On the average; those employed in mechanical engineering jobs, whether as draft persons or technicians, can earn around $1,300 per week. To be hired for mechanical engineering jobs, you need to have an undergraduate degree. Programs usually run for at least 4 years. Of course, experience always helps. Some mechanical engineering jobs may require you to lead a large project. You therefore need to have the necessary leadership skills such as good delegation and communication to accomplish what needs to be done in a limited period. On the other hand, it’s very important that you can show to your client that you can function at your best even with very minimal supervision. Based on experience, those who have the initiative and assertiveness are often the ones that get hired. If you’re wondering why, just imagine how many people, projects and even problems companies have to deal with simultaneously. If an employee is self-efficient, then that’s one less burden for them. We have encountered many mechanical engineers who are so good in what they do but are still having a hard time landing a job because of one thing: communication. Communication is one of the basic foundations of any business. You should learn how to communicate ideas, problems and solutions, among others, at the right time to the right people. Keep in mind too that sometimes you may be asked to explain technical concepts and applications to those who have only a very basic or even zero background in engineering, as well as required to submit reports and documentation from time to time. This is as simple as you should be easy to work with. Granted, this doesn’t mean that you must always say yes to whatever is demanded of you, especially if what’s requested is impossible or contrary to rules and regulations—but you should be able to handle these differences perfectly well. You must show your ability to work with various departments and the management. 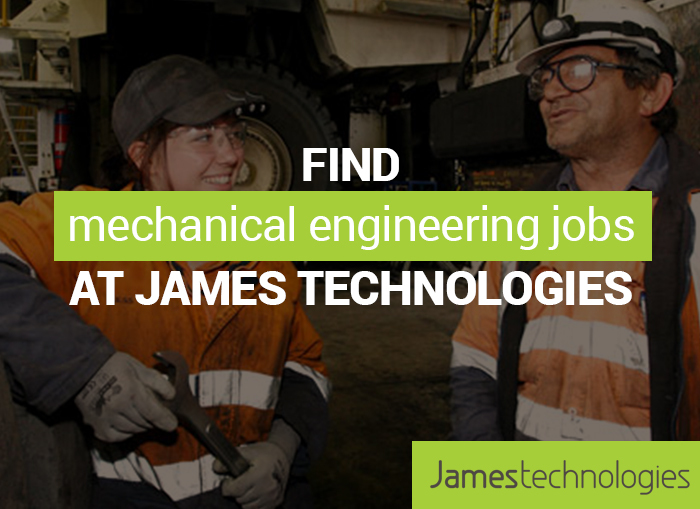 James Technologies is here to help you find mechanical engineering jobs. All you have to do is to possess the right qualifications. Mechanical engineering jobs may be complex and challenging. That’s why it’s never boring! Best of all, they can reward you well with a good-income and stable job for many years. Visit James Technologies for mechanical engineering jobs for Mechanical Engineering Draftspersons and Technicians.